The long spring and summer of public hearings and public debate over the governing agreement for the new desalination plant were all, it turns out, just public participation theater. Yesterday, the PUC approved the agreement pretty much as originally written, acknowledging none of the serious problems and rejecting even the weak improvements recommended by their own Administrative Law Judge. Given the PUC’s historic treatment of Monterey Peninsula ratepayers, this outcome shouldn’t come as a surprise. 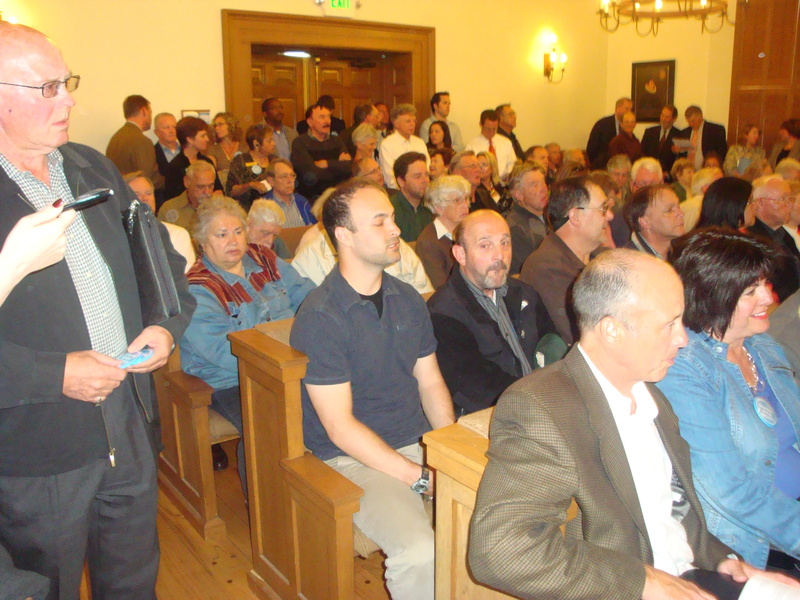 After all, it was the PUC that allowed Monterey ratepayers to be unfairly charged for supplying water to Del Monte Forest golf courses for 22 years (from 1930 to 1952), and it was the PUC that killed the popular movement for a public buy-out of the water system, by delaying a decision on the system’s value for 5 years (from 1959 to 1964). The unfortunate fact is that, in losing the protection of PUC cost oversight (one of the many objections to the approved agreement), the ratepayers may not have lost all that much. See this Executive Summary prepared by the Division of Ratepayer Advocates for a good overview of the biggest problems with the agreement and to get a sense of what the ratepayers of the Monterey Peninsula will now be living with. See this Coast Monterey County Weekly article and our previous water-related posts to read more. This entry was posted on Friday, December 3rd, 2010 at 1:35 pm and is filed under Politics, Water. You can follow any responses to this entry through the RSS 2.0 feed. You can leave a response, or trackback from your own site.